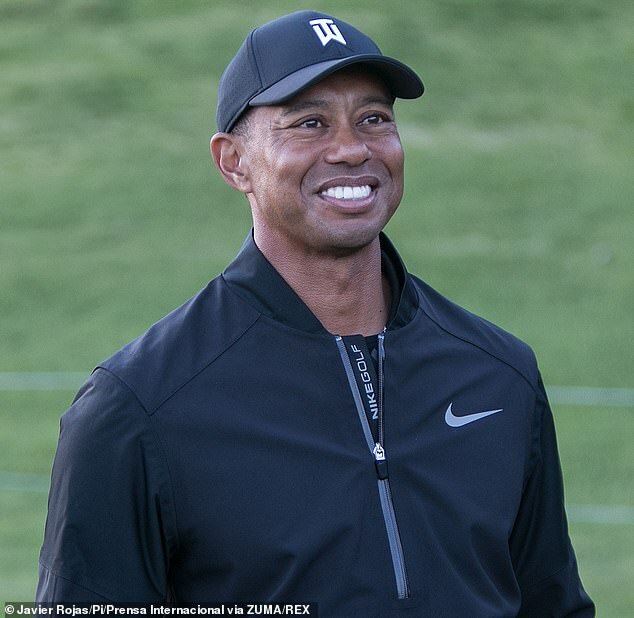 Tiger Woods will play alongside Rory McIlroy and Justin Thomas in an eye-catching first round group here at the Genesis Open at Riviera on Thursday – but it’s long-time rival Phil Mickelson who will provide the motivation. 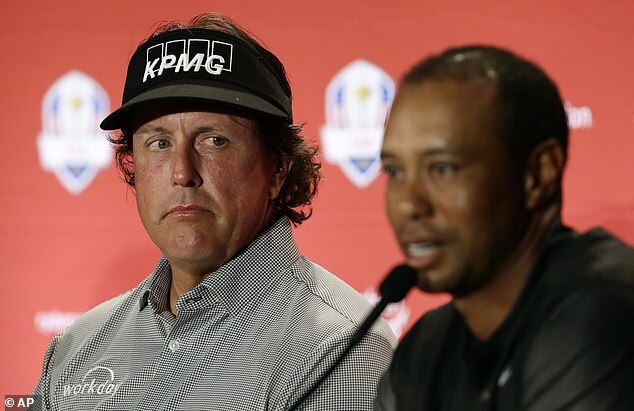 ‘Phil has been motivating me my whole career,’ was Tiger’s startling admission, when asked about the lefty’s remarkable victory in the Pebble Beach pro-am on Monday at the age of 48. 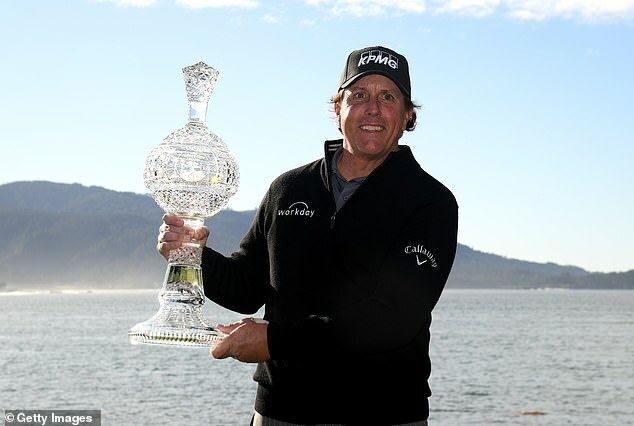 Both born in California, Mickelson’s latest success means the pair have now each won 14 times in their native state. To put that figure in perspective, no other player under the age of 42 has won more than 14 times in all 50 states, let alone one. Woods has played just once since the Ryder Cup last September, but this event marks the point where he ramps up his competitive preparations in the build-up to the Masters. As ever, he’s keeping his schedule close to his chest, but it’s likely he’ll play four more events this side of Augusta. The 43 year old, who scraped into the top 20 in his first start of the year two weeks ago following a final round 67, revealed that he had been practising hard at home in Florida. This was the event where the hometown boy made his tour debut as a 16 year old amateur and, quite incredibly given all he’s achieved, it’s one Woods has still never won all these years later. It would get not only Mickelson’s attention but everyone else’s if he was to finally put that right this week.